Tian Liming is a Chinese artist best known for his figure paintings in ink and wash and his innovative depiction of light and blurring of concrete configuration of human bodies. He was born in Beijing, but his original hometown is Hefei city, Anhui province. He graduated from the Central Academy of Fine Arts in Beijing in 1984 and in 1989 Tian enrolled as a graduate student, and got the Master’s degree of Arts in 1991, before becoming the dean of the Department of Chinese Painting. His paintings from this early period were composed of fast pomo (splash) brushstrokes, resulting in a spontaneous style known as da xieyi (very loose and watery brushstrokes). Attracted by the New Literati Painting, he participated in most of their annual exhibitions until 1997, when the movement dissolved. In the late 1990s, he became the Deputy Head of the Ink-painting Department at the Central Academy. Tian Liming is using a special way of drawing, which weakens the feature and configuration of figures that makes his creations more stylish and colorful. He exercised the blurring of concrete configuration of human bodies, in which some of his own way of painting reflects and can be perceived. His are predominantly figure paintings and he is best known for a series of diluted, archetypal figures rendered in pastel colors and transparent washes. His favorite theme, however, is water, be it as background for at times naïve-looking figures, or as subject in its own right, deep and transparent, tinted with light colors. He is particularly suggestive in the rendition of the play of light and shadows, unknown in traditional Chinese art. 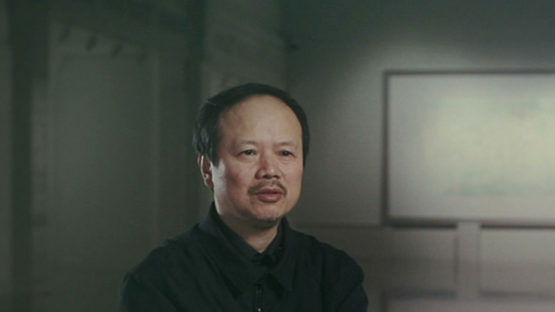 Currently he is the technical director of the Central Fine Arts Academy, member of the Chinese Artists ‘Association, and member of the China Arts and Crafts committee as well as the director of the Beijing Artists’ Association. Tian Liming lives and works in Beijing.